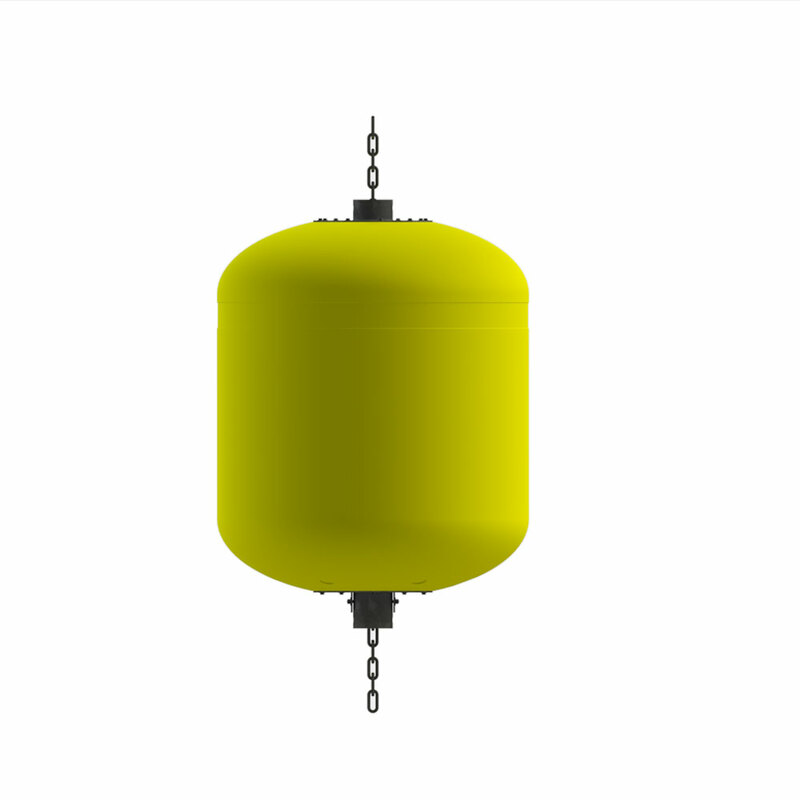 Designed for industrial use in aquaculture, this 1,850L buoy is built for the harshest offshore operation applications providing the lifting capacity to handle the heavy loads required in marine construction. This family of buoys comes in two types (Standard and Hawser) and is available in three different sizes. It is built to adapt to your application depending on your working loads. 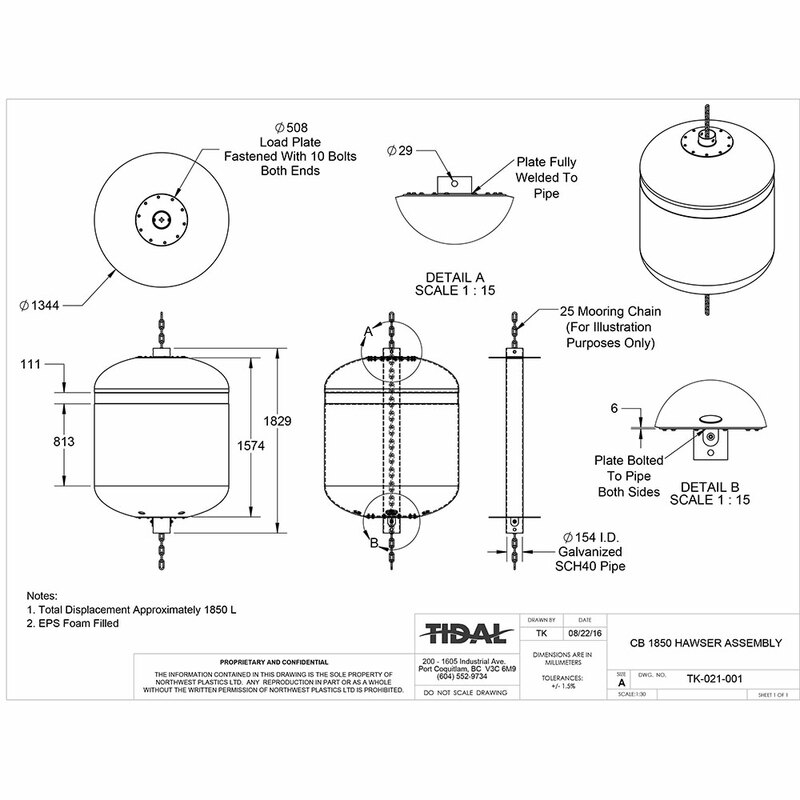 A ⅜” thick Polyethylene shell that will never peel or corrode and inhibits marine growth encapsulates fully fused EPS foam providing a virtually unsinkable platform that will not degrade to pollute waterways or shorelines.